The actual notes may have a different serial number, signatures and prefixs. Please use the image as a reference only! The items will be send in 30 days! OK FOR PAYPAL AND SKRILL! PLEASE WAIT MY INVOICE FOR PAYMENT. PAYPAL PAYMENT ONLY WITH REGISTERED LETTER. PLEASE USE REGISTERED SHIPPING: It includes tracking number and need signature. I always combine shipping.Registered is 9-15 EUROS, priority is 3-4 EUROS. For Australia, the registered is 20 euros! + SKRILL & PAYPAL FEES! Postal-losses are a very extreme minimum occassion...to most, but not all countries. Therefore all shipments are sent at your risk and responsibility; sorry! I cannot and will not be responsible for third-party services like the post-office and courier companies..I have no control over them. PLEASE READ: PLEASE WAIT MY INVOICE FOR PAYMENT MONEYBOKERS , PAYPAL - NEED REGISTERED SHIPPING AND TRACK NUMBER! PLEASE USE REGISTERED SHIPPING: It includes tracking number and need signature IS MORE SAFE. Registered is 9-15 EUROS priority is 3-4 EUROS . For Australia registered is 15 euros. I look forward to promptly shipping your item. Receipt of payment will be greatly appreciated within next 5 days or I may have to relist the item. Please respond with payment details and shipping address. Special emphasis to international buyers: I have always welcomed international buyers, but I sincerely ask that you please email me your payment/shipping details if you are paying by mail; this can sometimes take 4-5 weeks for mail delivery. Shipping is preferable REGISTERED, for international Buyers and Italy, you can make the option for priority mail but on your risck. I cannot be responsible for lost or wayward mail!!!!!!!!!!! Payment via PayPal are welcomed and appreciated. Auction wins within a......5 days.....of one another may be combined to save on shipping. PAYPAL PAYMENT ARE ACCEPTED ONLY FOR REGISTERED SHIPPING WITH TRACK NUMBER + PAYPAL FEES. PLEASE READ: PLEASE WAIT MY INVOICE FOR PAYMENT SKRILL OR BANK TRANSFER. Registered shipping 10- 15 EUROS priority is 3 EUROS . PLEASE DO NOT BUY IF YOU DONT AGREE THE TERMS! !THANK YOU! 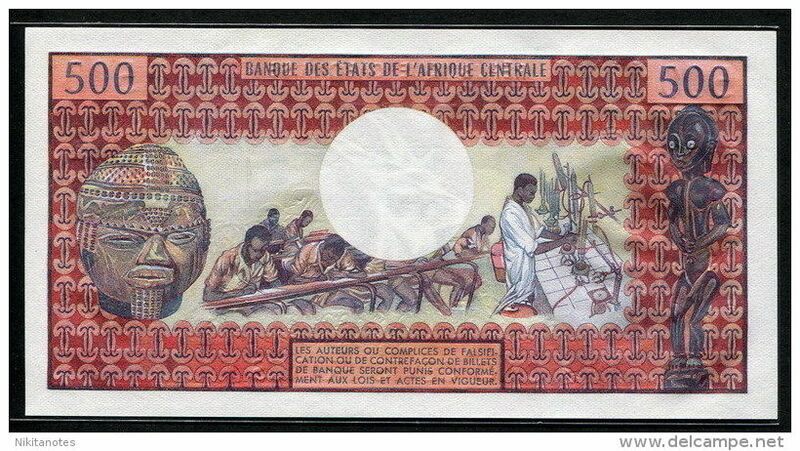 Nouveau GABON P2b 500 FRANCS 1.4.1978 #Q.4 AU++/UNC. ! 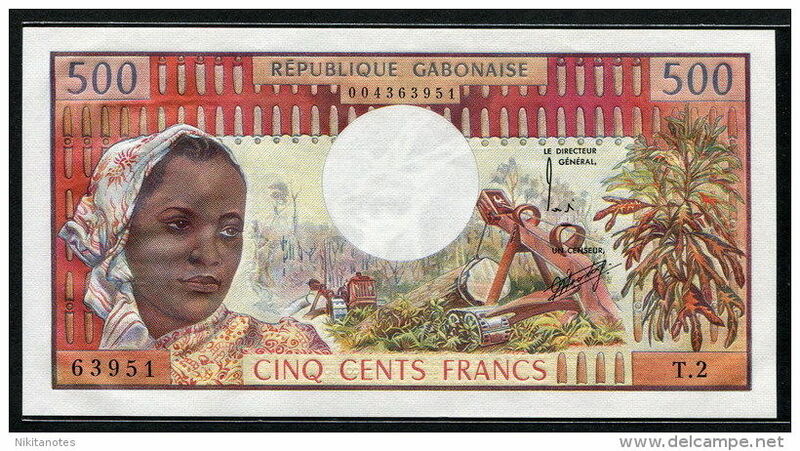 GABON CAS P407A 1000 FRANCS 2002 UNC.